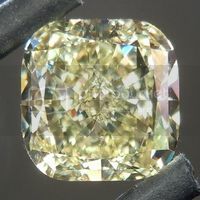 This is a beautiful radiant cut diamond. 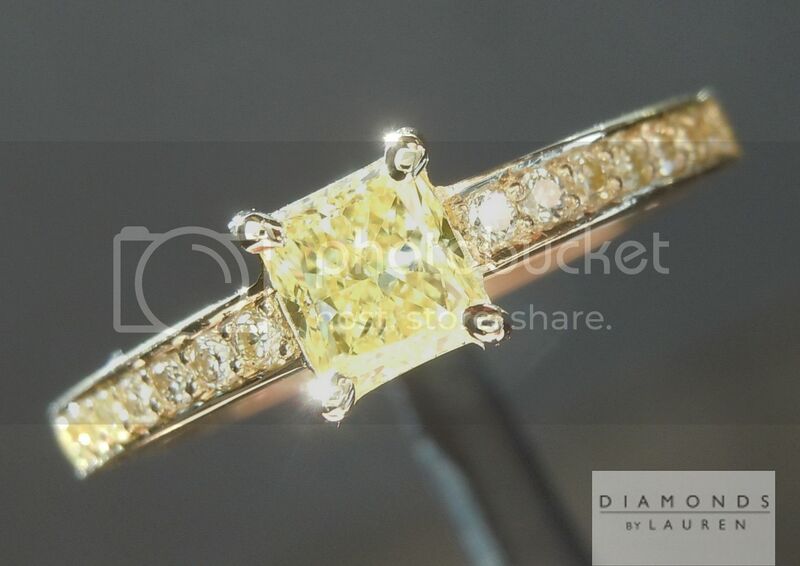 It has a lovely broad rectangular shape with nicely cut corners. 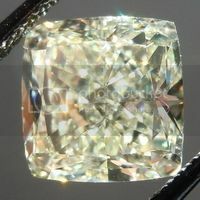 The cut on this stone is stunning. 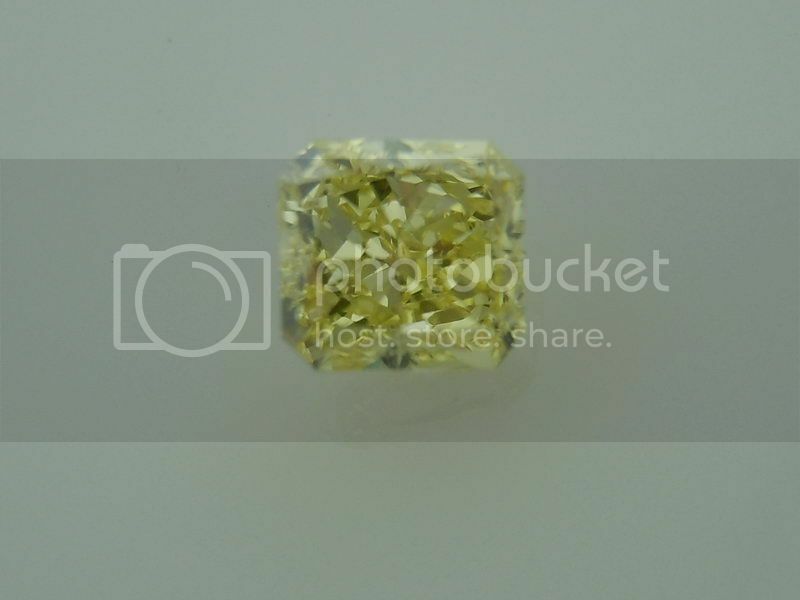 It has a nice mix of the crushed ice appearance with some bigger flashes of light. 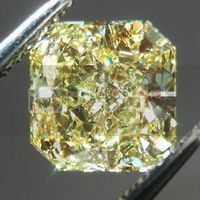 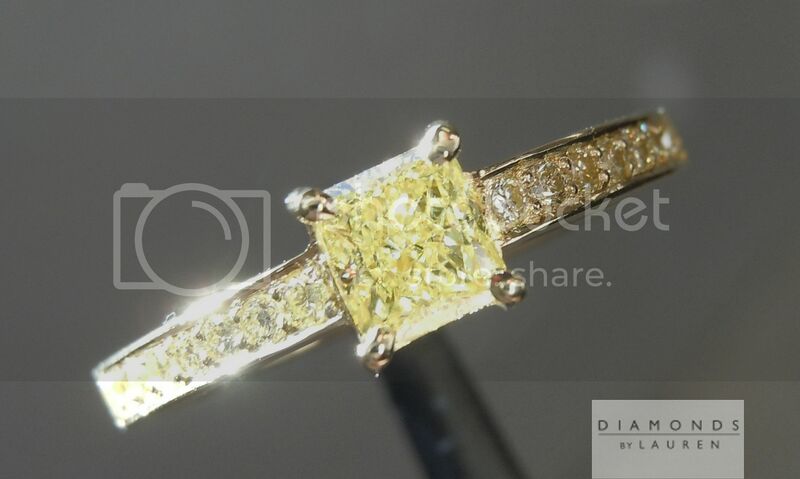 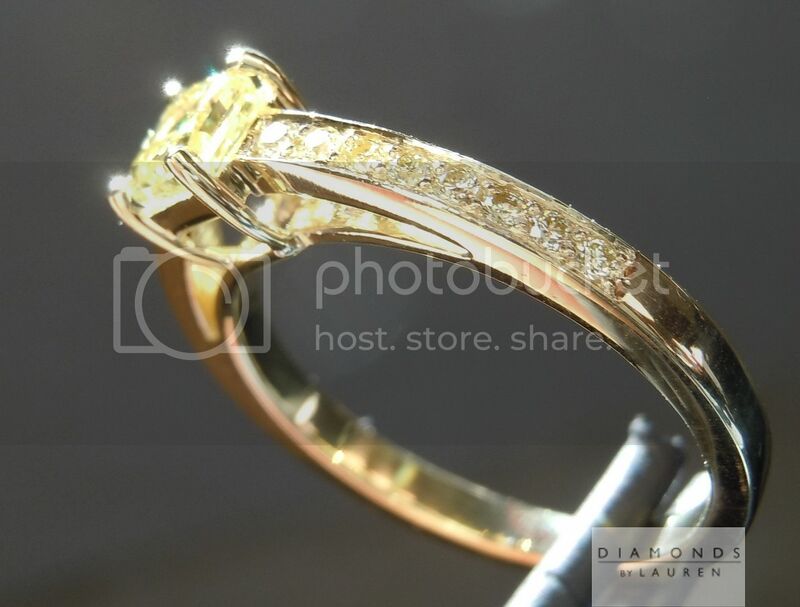 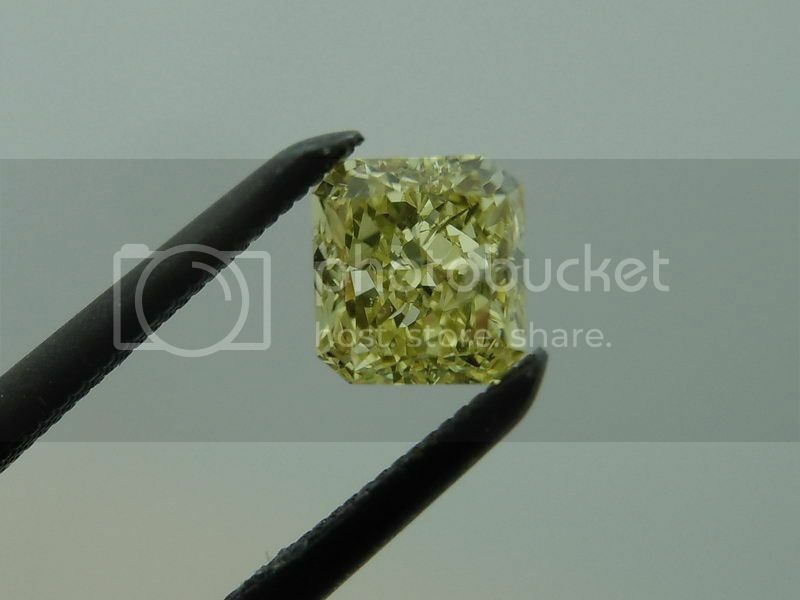 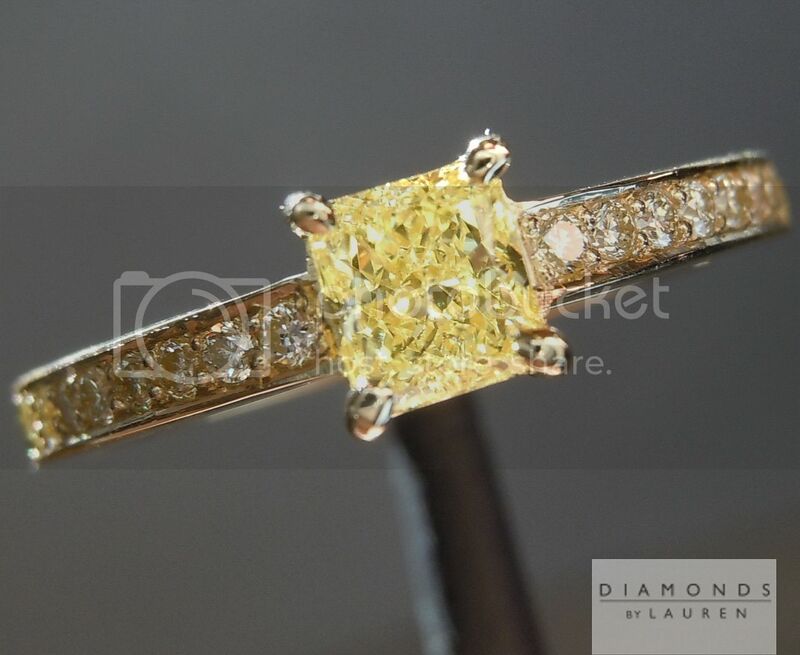 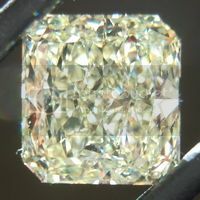 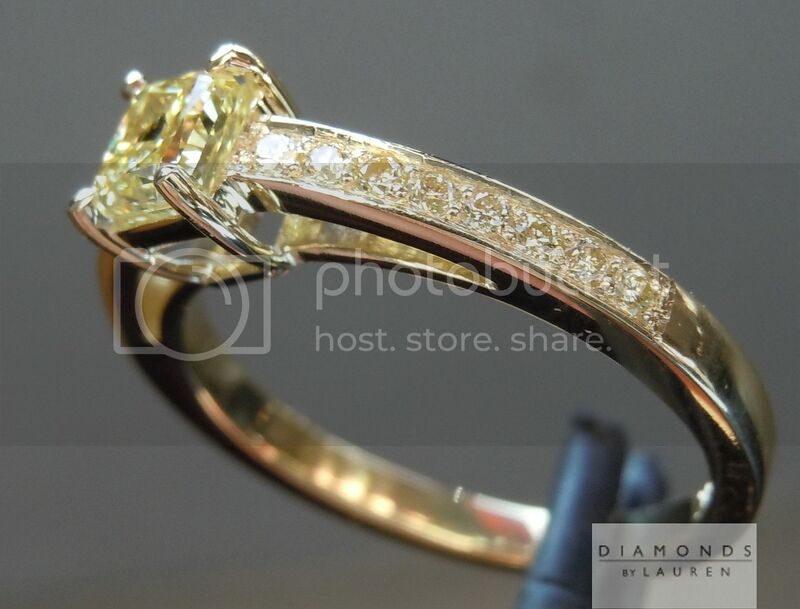 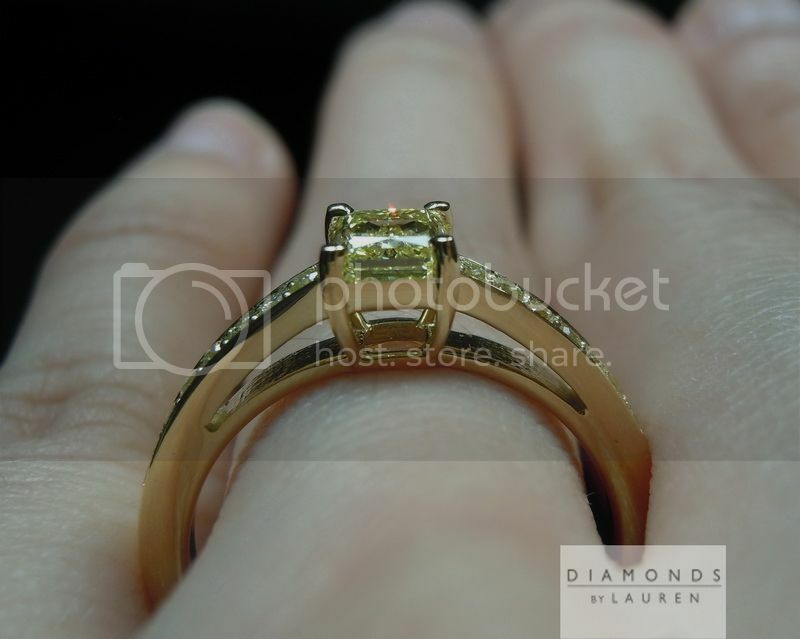 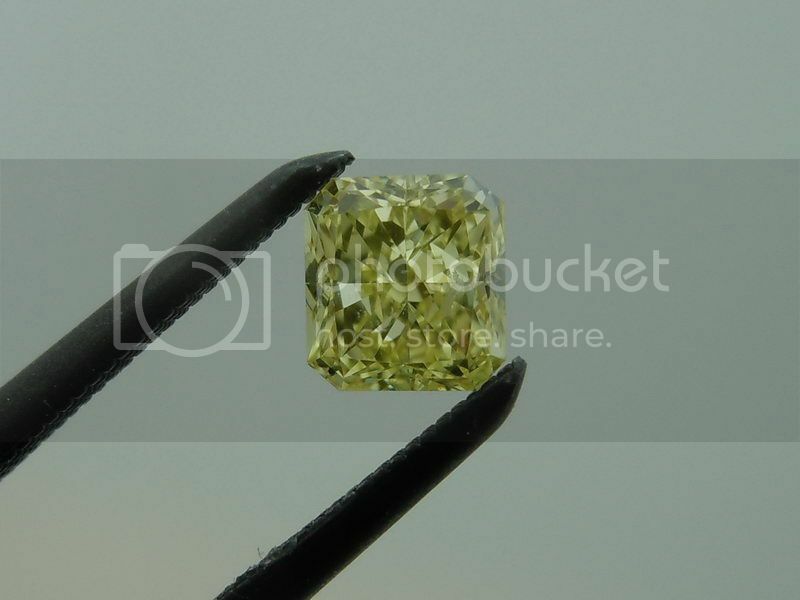 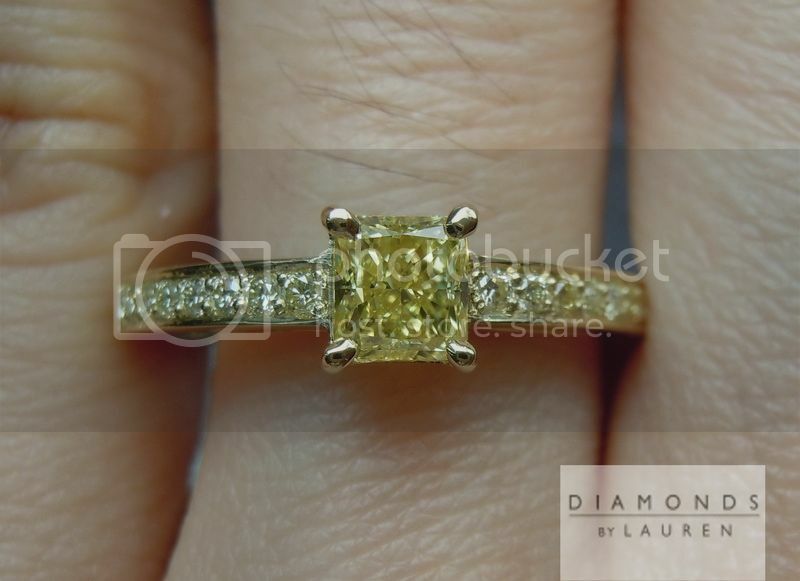 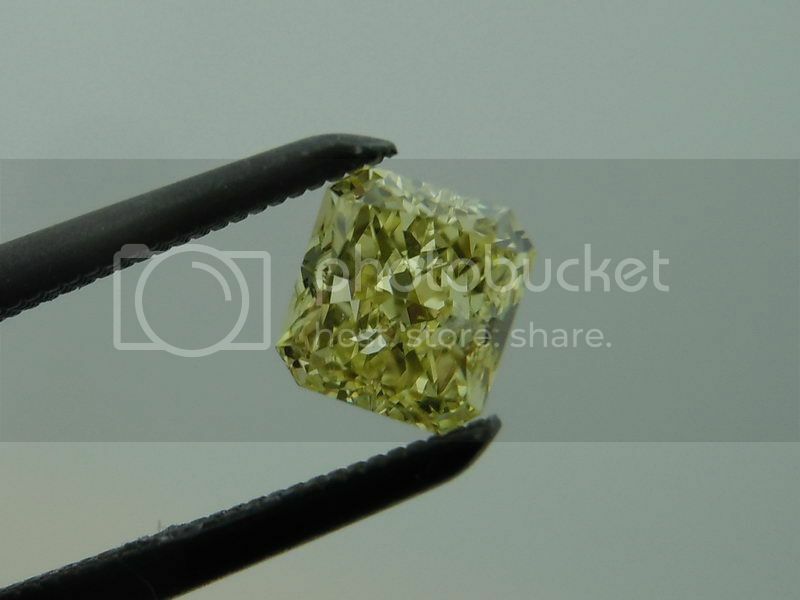 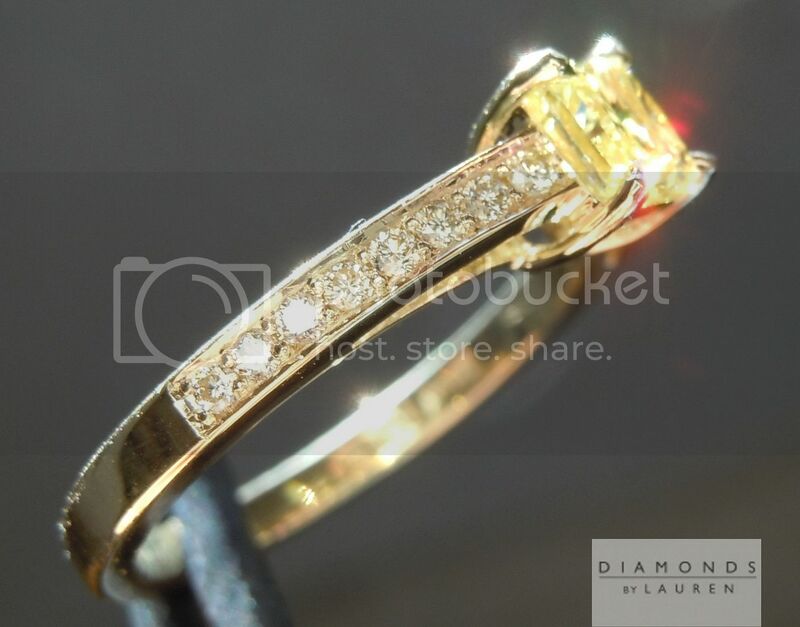 The stone is graded Fancy Yellow by GIA. 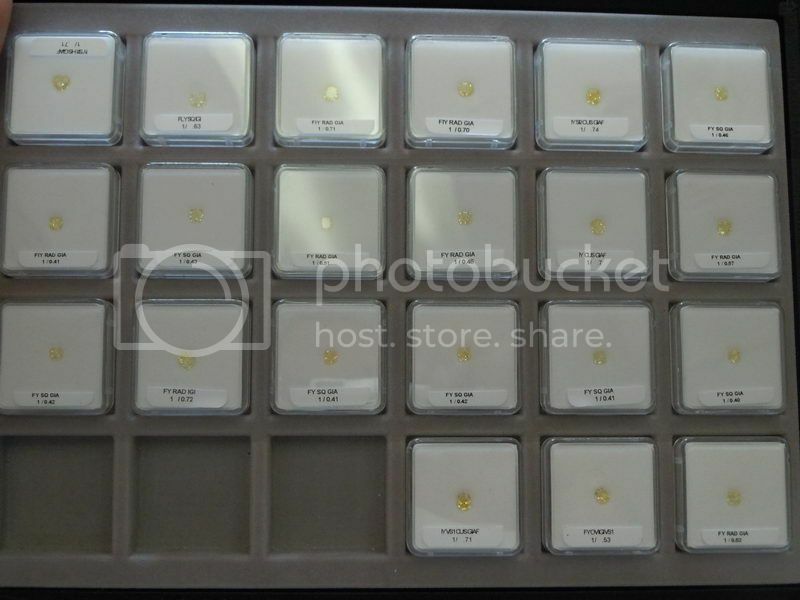 So you are getting a great shade of yellow. 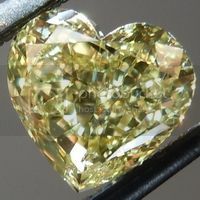 It is really hard to find stones of this size with full GIA reports. 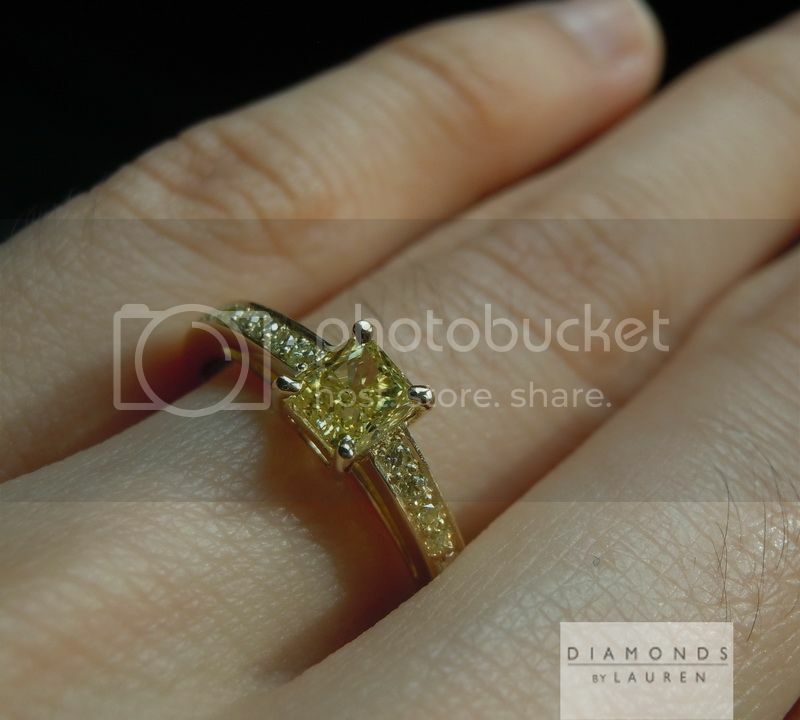 This is due to both time and costs - $155 for the report. 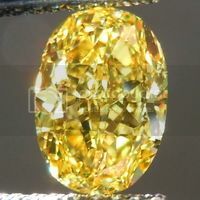 Most sellers will skip on this with stones of this size and value. 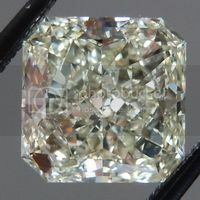 GIA has given this diamond a clarity grade of VS2. 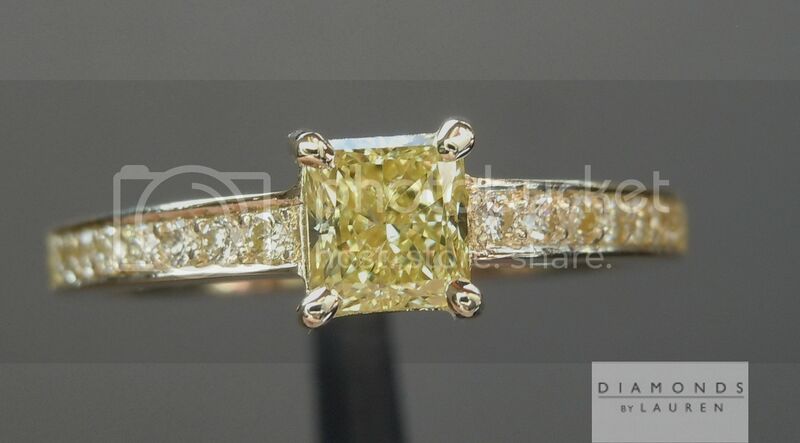 Sturdy cast ring, impeccably finished.